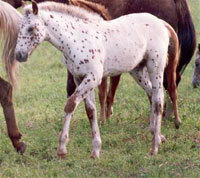 Reflection is registered with the Appaloosa Horse Club of Canada and the Appaloosa Horse Club. Reflection throws leopards, blanketed and snowcap foals. 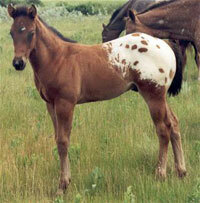 Foals are normally bay, brown or sorrel base colored. 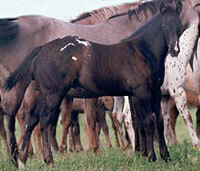 Sire of many ApHCC point earners and futurity champions. Many Bonds Reflection daughters were bred to Miracle Moon and will continue to be bred to his sons. 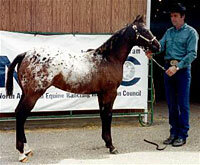 This combination proved itself in 2001 when A Dark Moon won the Canadian National Appaloosa show in 2 year old Western Pleasure and 2 year old Hunter Under Saddle.